Running a company of any size comes part and parcel with business expenses. HMRC allows you to count many running costs against your annual turnover before calculating Corporation Tax. Claiming allowable expenses can make an enormous difference to your tax bill. For example, if your shop’s yearly revenue is £50,000 but you spend £20,000 on overhead, stock and staff wages, your taxable profits are £30,000. Corporation Tax is currently charged at a flat rate of 19%. By deducting allowable expenses, you would pay £5,700 in Corporation Tax for the year, rather than £9,500—that’s a saving of £3,800. If you operate as a sole trader, you’ll need to follow a different process—we explain it all in our article What expenses can I claim as a self-employed person?. What counts as a business expense? 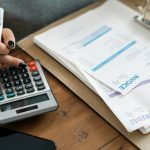 HMRC says that you can deduct any business costs from your profits before tax, but precisely what constitutes business costs is a little unclear. As a rule of thumb, purchases must be for company use only and need to be necessary to run your business. If you or an employee make personal use of an item it will have to be taxed as a company benefit, also known as a benefit in kind. That means that the person who benefits from the purchase is required to pay income tax on its value. It’s essential to keep evidence of all of your expenses, big and small. You will need to keep hold of receipts for six years after filing your tax return in case HMRC decides to investigate. This process doesn’t need to be difficult; you can just slip receipts and invoices into a ring binder as you receive them. Make sure every record includes the date, where you bought it, what you purchased and how much you paid. 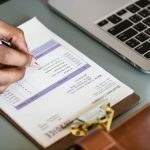 There is no exhaustive list of allowable business expenses—every company is different, after all—but we’ve compiled some of the most common company expenses to get you started. 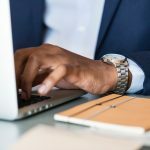 Purchases that will stay with your limited company for longer than two years, such as computers, printers and kitchen equipment, fall under capital allowances. Wastage (such as unsold food or damaged products) should not be counted as a separate expense. It’s a common misconception that client entertainment and meals are allowable business expenses. You can claim expenses on gifts worth under £50, but they must be branded with your company name or be a clear advertisement. Food, drink and tobacco are not permitted. *Donations to charity are not allowable expenses, but sponsorships are. In order to qualify, there must be a clear financial benefit to your donation (such as endorsement of your brand). You cannot claim expenses on your daily commute, but if your business relies on travel (for example, if you run a courier service) your travel between clients is covered. While this may seem obvious, no tax relief is allowed on penalties or fines. This includes speeding tickets and parking fines. If a customer does not pay you for your products or services, you may be able to claim the outstanding value as a bad debt. In order to claim bad debts, the value of the transaction must be included in your company’s turnover and you must be certain that the debt will not be paid. One such example is when the client’s company has gone into administration. How else can I reduce my Corporation Tax bill? Your business may qualify for other forms of tax relief. Check GOV.UK for further allowances and relief you may be entitled to.